Bob Casey was raised to believe that "all public service is a trust, given in faith and accepted in honor," and he has brought that to every office he has held, including Pennsylvania Auditor General, State Treasurer, and U.S. Senator. 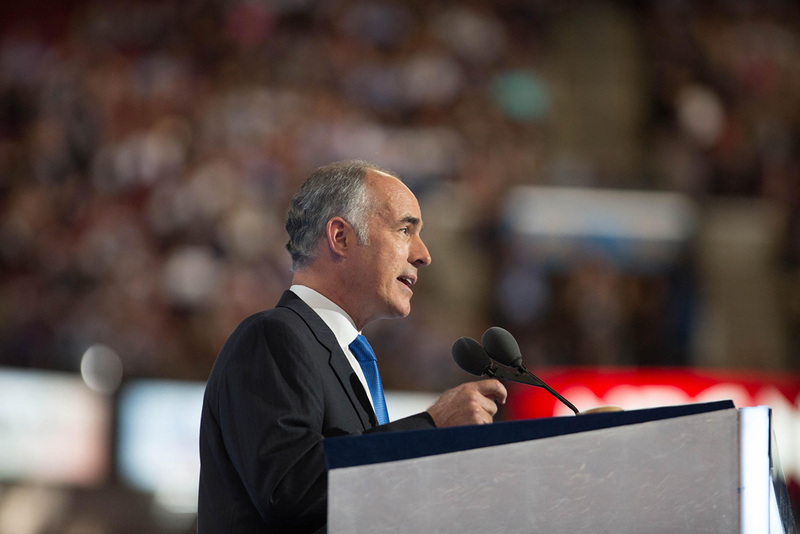 In Harrisburg, Bob Casey compiled a record that focused on making government more accountable and responsive to the needs of Pennsylvanians. He has been a fiscal watchdog who made nursing homes safer, child care more affordable and government more accountable. He led the fight to reform Megan’s Law to better protect Pennsylvania children and communities. Since he was elected to the United States Senate in 2006, Bob Casey has worked to create family-sustaining jobs and foster financial security for Pennsylvania families; protect our children and invest in their futures; ensure safety at home and respect for America abroad; promote honesty and accountability in government; preserve the dignity of the vulnerable of all ages among us; and advocate for his constituents and help them solve problems they face. As a United States Senator, Bob Casey has established a long record of results on behalf of the people of Pennsylvania. He was the prime Senate sponsor of landmark legislation for individuals with disabilities, the Stephen Beck Jr. Achieving a Better Life Experience Act (ABLE), which allows millions of families across the United States to save for the long-term care of their loved ones with disabilities in a tax-advantaged savings account. As concerns arose across the nation about the dangers of campus sexual assault, Senator Casey took action and passed into law the Campus Sexual Violence Elimination Act (Campus SaVE), which outlines steps schools can take to educate students and help prevent sexual assault, requires uniform reporting standards for sexual assaults on college campuses and requires schools to provide clear guidelines to students on their sexual assault policies. From legislation to crack down on terrorists' financing, to a law that makes it easier for small businesses to expand, Senator Casey has passed into law a wide range of measures to keep Americans safe and financially secure. He is committed to raising wages and creating and retaining jobs across Pennsylvania. A tireless advocate for middle-class families, workers, and seniors, Bob Casey is a voice for those who are threatened by Congressional Republicans’ recent attempts to give tax cuts to the ultra-rich and to undermine Social Security, Medicare and Medicaid.